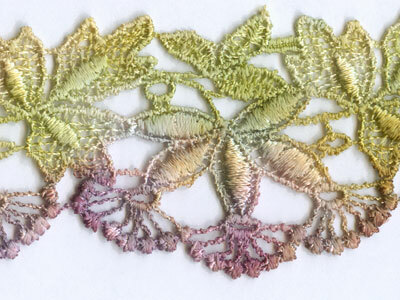 Beautiful rayon lace trim hand-dyed by Piecemakers. It is 1.75" wide and is sold by the foot. Can be used for all sorts of projects including jewelry making, crazy patch, home dec, altered clothing and much more!